A promotion. A really bad day. A new business win. The loss of a loved one. A new baby. An illness. A birthday. When one of your employees or customers is having a life event—no matter how big or how small, joyful or sorrowful—it’s important to know just the right thing to say. With help from Hallmark Business Connections card line and other social and online communities, we’ve outlined some ideas for personal messages to help connect with those important people in your work world—your customers and employees. Find cards made for personal messages like these. It’s hard to know what to say when someone you work with has lost someone they love. Grieve with them with one of these heartfelt messages, and don’t be afraid to keep it short and simple. Remember your customers and they’ll never forget you. They are the reason you’re in business, so go the extra mile for them. Sometimes just a gesture as simple as a card with a handwritten note can take you from vendor to friend. Find joy in their successes. When your business family has something good happen, let them know you know. And care. Think of them during the holidays. An authentic note will stand out against one-sided marketing messages while also fostering personal connection, especially when sent on holidays they least expect. New year, new opportunities.The new year signifies a fresh slate with endless possibilities, which is a really good notion to grab onto in the business world. A small greeting card is all you need to make their birthday a big deal. Taking the time to wish an employee or client a happy birthday can mean the world to them, and they’ll often save your card as a keepsake. It’s nice to let the people you work with know you’re thinking about them during the important times in their lives. Cards are a great way to do just that, and including a handwritten sentence or two adds even more meaning. 1. Personalize Hallmark cards for your business on our self-service website at shop.hallmarkbusinessconnections.com. 2. Contact us to learn about full-service, custom greeting card programs—from birthdays and thank yous to holiday and simply hello. Since you’re reading this, chances are you need some cards for your customers or employees. 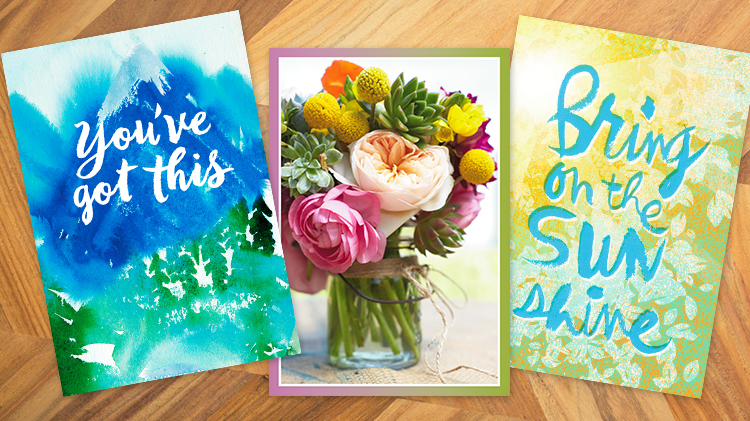 By signing up for an account, you can receive 15% off your first purchase of greeting cards. Set up your account here, shop for cards, and use the code BLOGCARE to get 15% off your first purchase.